The following questions are from NSW lot owners enquiring about strata unit entitlements. Thank you to Leanne Habib, Premium Strata for providing a responses. Question: One family owns 61% of our scheme and use their strata unit entitlements to block the committee and let the scheme run down. Would this situation be classed as dysfunctional? Are voting blocks in NSW strata schemes unlawful or otherwise unacceptable? We have one family who has bought up 61%. They use their strata unit entitlements to not let anyone else on the committee. They run the scheme down both materially and by not adhering to by-laws and got us prosecuted for not implementing a new fire order. Would NCAT find such a voting block dysfunctional? Answer: If the 61% family prevents the Owners Corporation from complying with its statutory obligations, then this would be a strong argument for the compulsory appointment of a strata manager. Yes, if the 61% family prevents the Owners Corporation from complying with its statutory obligations, then this would be a strong argument for the compulsory appointment of a strata manager. Obviously, you would bear the onus of proof and need to demonstrate the full extent of the dysfunction and have statutory declarations and other strong evidence to support your application. Question: In our new building, NCAT has issued an order for changing strata unit entitlements to a more equitable allocation. We assumed our strata company would send the order onto Council, however, they stated this is not their responsibility. We are in a newly built apartment block which contains 5 apartments. The block was owner built with the builder retaining the penthouse. The remaining 4 apartments are of varying sizes. Last December, after all of the owners agreed to approach Fair Trading, NCAT issued an order for changing strata unit entitlements to a more equitable allocation. NCAT sent the paperwork to the Strata management company and we all assumed the strata company would send this onto Council so our water rates could be adjusted. In recent conversations with the Strata manager, she has indicated that this is not the company’s responsibility, even though the company, not the owners’, received the papers. Is this correct? Answer: Once an order has been granted by NCAT, the owners corporation needs to lodge a form with Lands Registry Services. Once an order has been granted by NCAT, the owners corporation needs to lodge a form with Lands Registry Services. Once lands have made the amendment and update certificate of title and strata plan will reflect the amended UE. I would imagine you not in Sydney and this is in a regional area where councils supply water to the scheme and it’s not individually metered (whereby the cost is accorded to owners via their unit entitlement). The owners corporation needs to ensure that the relevant forms have been lodged with lands and once an updated CT/plan has been received, then ensure these are issued to council (with a request for bills to be adjusted based on the date of amendment). The owners corporation can instruct their strata managing agent to do that, provided it’s a delegation available in their agreement with the owners. This post appears in Strata News #197. 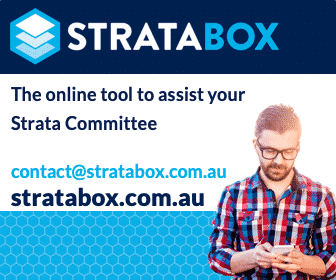 Question: What are the rules of strata voting at the AGM concerning strata unit entitlements? My concern is around the rules of strata voting at the AGM concerning strata unit entitlements. I live in an old strata heritage block of 6 units with 3 garages built in the 1930’s. It would be interesting to hear if other owners of older units built in the 30, 40, and 50’s have similar problems. The 3 garages are separate lots on title with the units. I believe that when the units were initially sold, the new owners had first option to buy the garage lots. I also believe the present owners can sell their garage lots to others owners within the unit complex. I think giving strata owners of garages an extra vote at meetings should be cancelled out. No mention of Garages being a “lot” — What is mentioned is Utility Lot — meaning a Utility lot is designed to be a primarily used for storage or accommodation of boats, MOTOR VEHICLES or goods, and not for human occupation as a residence, office, shop or like. The 3 owners of the 3 garages use their extra voting power to block maintenance for the units. I strongly object to allowing Utility lots being given an extra vote at meetings. I am hoping that the new Strata Laws will address this by giving everyone just one vote at all meetings. Answer: The one lot / one vote rules continue to apply under the new legislation. The one lot / one vote (special resolutions and demand for poll excepted) rules continue to apply under the new legislation. Ultimately, if owners are abusing their voting rights to prevent the Owners Corporation from complying with its statutory duties, the disgruntled owners could make application for a compulsory appointment to ensure repairs and maintenance were properly undertaken. This post appears in Strata News #97. Question: Our strata seems to have taken proxy voting and strata unit entitlements to a new level. It now counts storage units (which have a separate unit number) as voting entities. Our strata seems to have taken proxy voting to a new level. It now counts storage units (which have a separate unit number) as voting entities. Our building has six lock-up storage units which were bought by unit owners. Five of them are registered as having 19 unit entitlement each, the sixth (the largest) has 40. The unit entitlements for the apartments range from 1727 (smallest) to 3746 for the largest. Can these storage spaces have legal votes at a meeting equal to the vote of an apartment owner? If not, what section or regulation covers this? Answer: We suggest you request a poll vote as the lower unit entitlements allocated to the storage lots may equal less than one vote per unit. Our reply is based on the details provided. We note that the storage lots are on separate titles, with a unit entitlement allocated to each storage lot. As such each owner has a voting entitlement for each lot they own, so if they own a unit and a storage cage, as they are two separate titles with two unit entitlement allocations they have two votes each if voted by a simple show of hands. Most decisions can be made by a simple majority vote but sometimes a special resolution or unanimous resolution is needed. Even when only a simple majority vote is needed a poll can be called. When a poll is demanded by an owner at a meeting, votes will have a different value and are worked out by counting the unit entitlements, as opposed to calculating a vote by show of hands wherein one lot equals one vote. We suggest you request a poll vote as the lower strata unit entitlements allocated to the storage lots may equal less than one vote per unit. In summary the storage lots will have an equal vote to the apartment owners if voted by show of hands, if voted by poll, the votes will have a different value and will be calculated on the unit entitlement subject to each registered lot. The photo associated with this post has been supplied by Flickr: Thomas Abbs – Garages. In the situation a motion is likely to be swayed by utility lot owners, if it suits you, you can call for a Poll, in which the motion depends on total unit entitlements instead. See SSMA 2015 Section 14 (3) and (4). Also, Section 106 (5) SSMA 2015 entitles an owner of a lot to recover from the owners corporation, as damage for breach of its statutory duties to repair and maintain the common property, any reasonably foreseeable loss suffered as a result of the owners corporation breach. In addition to all your other rights, you may also make application to the NSW Civil & Administrative Tribunal for the Owners Corporation to carry out the requisite repair/maintenance works (though you would have to apply for mediation first).